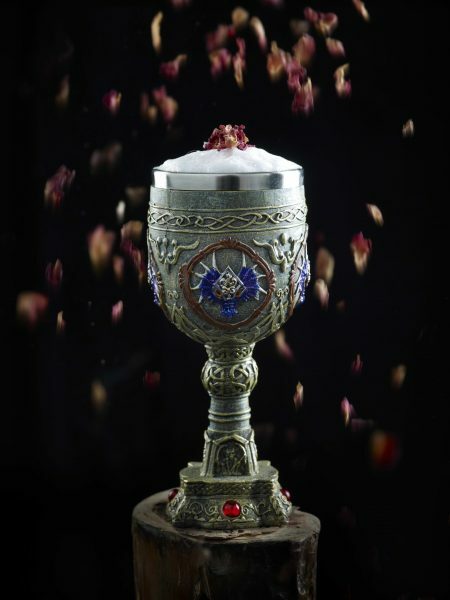 "Then we add dried lizard brain and strands of a werewolf's chest hair," cackled Head Mixologist Vladyslav Buzko like a witch over a bubbling cauldron. "Now, let's not forget the blood of a unicorn!" 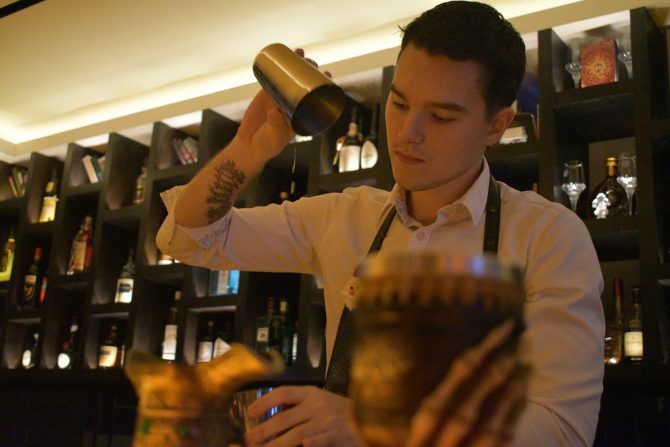 The Ukraine-born bartender reeled us in closer as he put up a display of theatrics to formulate Heracles Force ($23) - a cocktail modeled after the courage and supernatural strength of Heracles, the mortal son of Zeus. Here, dried lizard brain is walnuts, werewolf's chest hair (ew!) is ginseng, and unicorn's blood? Well, that's something Vlad would like to leave to your imagination. The twenty-something good-looker currently helms Elixir Bar at KUVO, and is also the force behind 10 otherworldly cocktails that take cues from Greek mythology. The cocktail menu is segregated into five categories - Happiness, Beauty, Life, Luck and Courage, with every cocktail's ingredients inscribed in fantastical names. Imbibers can seek the help of a legend included at the back of the menu. So leave real life behind and go on a flight of fancy when you soak in (or sip on) the intoxicating magic conjured by Elixir Bar's Vlad. If royalty is still beneath you, then perhaps something of a higher power may tickle your fancy with Aphrodite’s Secret. Inspired by a goddess with beauty that can spark a war of Gods, the gin-based cocktail blends crushed strawberries, egg whites, lime juice and simple syrup. Topped with dried rose petals, the floral-scented drink won’t cause discord anytime soon, but to accumulate many likes as Instagram pic? That, it can surely do.